I always hear people say they don't know how to make bread and pies. In my experience they are quite simple, but that's probably because I grew up watching my mom make those things. If you've never made bread and you don't know what to look for, the process can be daunting. I've yet to taste any bread baked in a machine that tasted great. I use my bread machine for doughs of all kinds that I'll be posting in the future. It's wonderful--you toss in the ingredients, and walk away for an hour and a half. No kneading, covering, punching down, kneading again, etc. 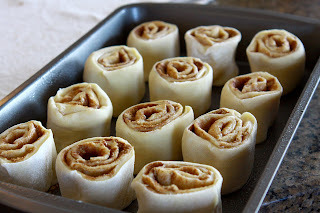 Hence, the bread machine cinnamon rolls that mimic the famous Cinnabon. You know, those ones at the mall? 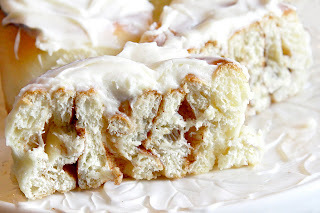 I've actually never had one, but the original recipe called this the clone of a Cinnabon. 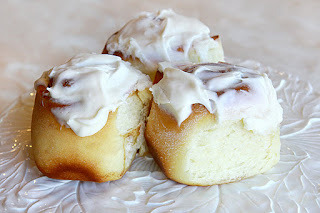 These rolls are lovely and sweet without being too gooey, while the inside is soft and tender. Throw all ingredients for the cinnamon rolls into a bread machine and select dough setting, then start. 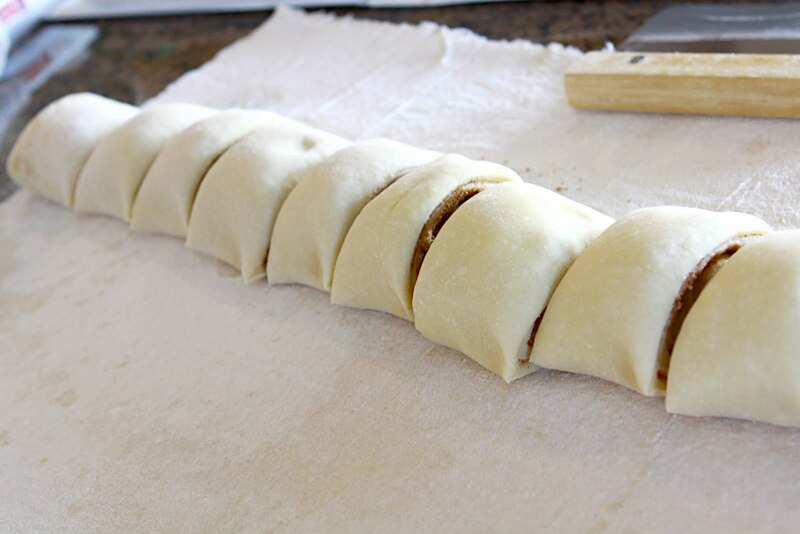 Once dough is complete, remove from mixer and roll out into a large rectangle--approximately 18x12 inches. 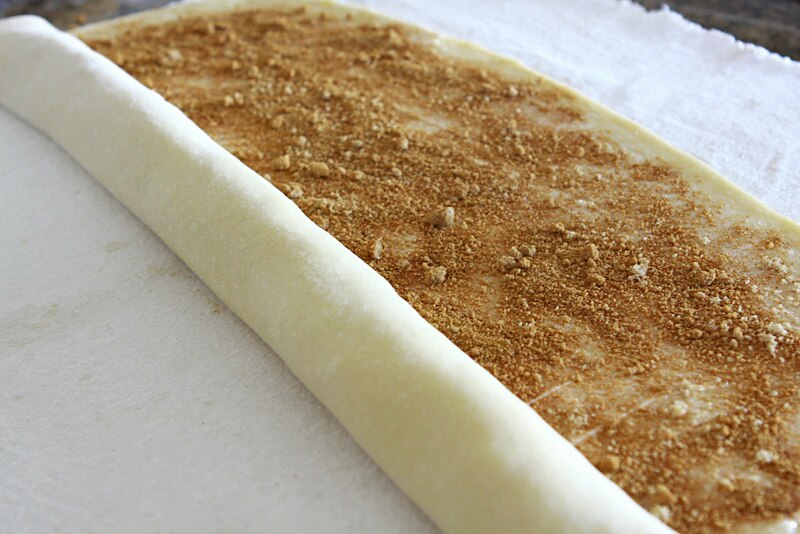 Top with filling ingredients--spread with butter first, then sprinkle cinnamon and brown sugar overtop. Roll up lengthwise. Spray a 9x13 pan with non stick, then place rolls on end in the pan. Cover and let raise for 1-2 hours or until rolls are almost touching each other. Bake at 400 for 15 minutes. 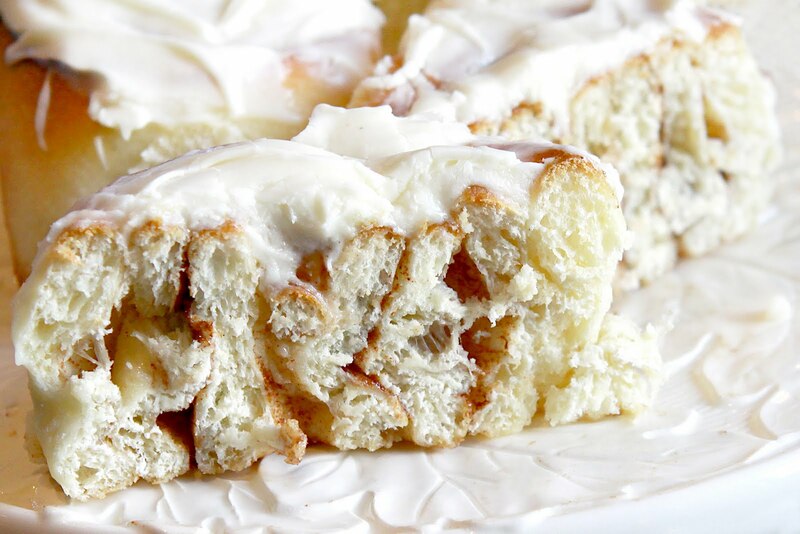 While cooling, whip together frosting ingredients with a mixer. Frost while rolls are still a little warm, but not hot.